For those who love their real-time strategy games, you might want to take a look at the space strategy game Element which just left Early Access. It's come a seriously long way since the initial release, where Linux support was only experimental and a few years later Linux support is official alongside Windows and Mac for the final release. The Linux version is basically flawless and the UI work and improved introduction makes the game feel a lot better. 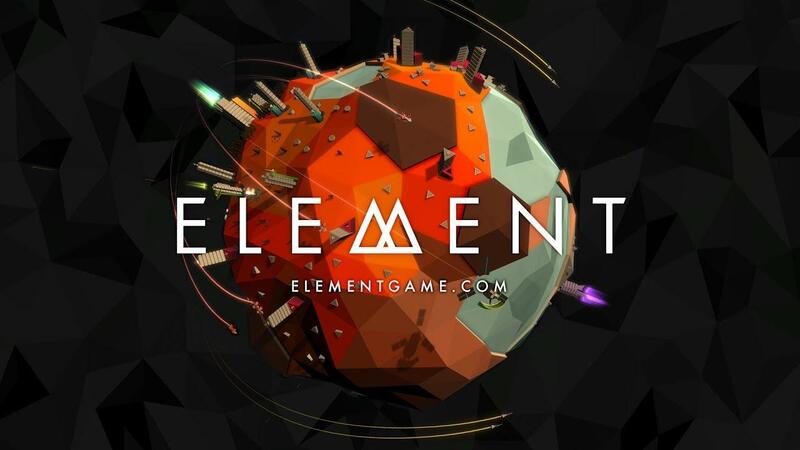 The developers say that Element is a strategy game designed for "people who don't have time to play realtime strategy space games", thanks to easy to grasp gameplay elements. It's an interesting take on the genre, with you hopping from planet to planet gathering resources and defeating any enemy forces you encounter, with the difficulty gradually increasing with each new planet. It's quite a back to basics game, with you having only a few units and buildings to worry about. You also don't really have direct control over anything, as most of it is automated once built apart from sending out drones to heal units and buildings or firing missiles. Find Element on Steam, it's pretty good with some lovely presentation. I can't honestly decide if I like this or not, needs a demo? Last time i tried it (months ago), i felt i was playing an over simplified RTS for smarphone. May find its public on PC, but it's probably not me. Hmm , if it offers quick play seems like a nice fit. Wanted a quick RTS i can quickly power up and play. Makes me think of Defcon by Introversion Software. Bloody good game. "people who don't have time to play realtime strategy space games"
Tchey Last time i tried it (months ago), i felt i was playing an over simplified RTS for smarphone.